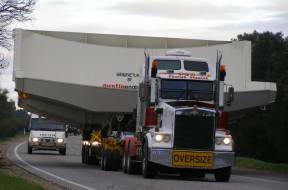 Whether it’s a giant piece of mining equipment or an oversized bridge section, Hevi Haul has the industry expertise and the equipment to transport your oversize or overweight load across Australia. Based in Perth, Western Australia, our experienced team has a thorough understanding of the laws and transportation requirements of each state. We secure the necessary permits for the legal transportation of your load, and through careful planning and project management, deliver your shipment in the most expedient manner. We offer a full service operation to carefully engineer the movement of your cargo every step of the way. 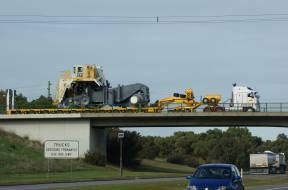 We are the heavy transport company that Australian industry counts on to get the job done. 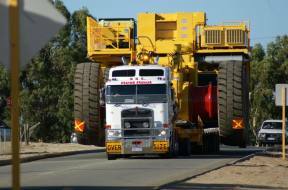 Hevi Haul specialises in the movement of mining and industrial equipment throughout Australia. We have a successful working relationship with some of the country’s leading operators, including Terex Corporation, Komatsu Australia, RCR Tomlinson, and Austin Engineering.